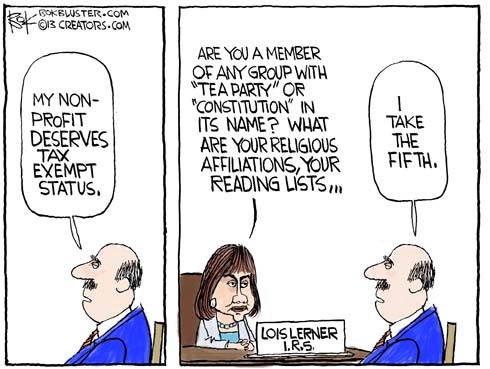 You don’t have to belong to a right wing constitutional group to suspect Lois Lerner pulled a fast one when she claimed she was innocent and then took the fifth. The IRS has placed her on paid administrative leave. Update: Here’s a Mark Steyn column about Lois Lerner signing off on, and backdating, the tax exempt status of a foundation run by the president’s brother. He also notes that you have no fifth amendment rights when it comes to the I.R.S.